Authorities said shooter Stephen Paddock's ability to fire hundreds of rounds per minute over a 10-minute period from his perch in a 32nd-floor hotel suite was a major factor in the high casualty count in the Las Vegas shooting. New York: A lawsuit seeking to represent the victims of the Las Vegas rampage, the deadliest mass shooting in modern US history, was filed against the makers of so-called bump stocks, which the shooter used to achieve a near-automatic rate of fire. The proposed class action lawsuit, filed in state court in Clark County, Nevada, over the weekend and announced on Tuesday, accuses Slide Fire Solutions and other unnamed manufacturers of negligence leading to the infliction of emotional distress on thousands of people who witnessed or were injured in the October 1 shooting at a Las Vegas music festival. 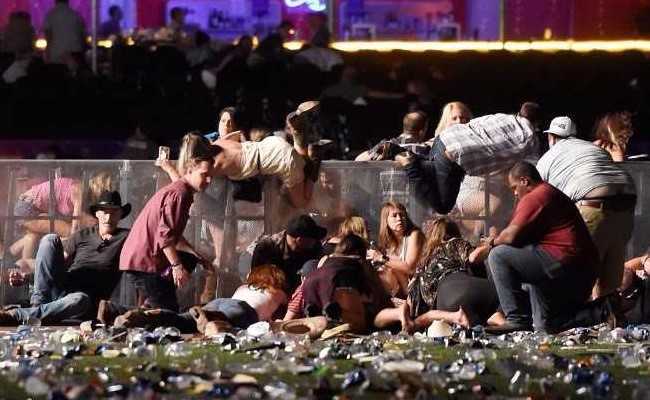 The lawsuit by three Nevada residents who attended the festival does not involve the injuries that hundreds of people suffered as a result of the shooting, or the families of the 58 people who were killed. Moran, Texas-based Slide Fire did not immediately respond to a request for comment. Authorities said shooter Stephen Paddock's ability to fire hundreds of rounds per minute over a 10-minute period from his perch in a 32nd-floor hotel suite was a major factor in the high casualty count. Paddock, 64, killed himself before police stormed his suite. Bump stocks allow semiautomatic rifles to operate as if they were fully automatic machine guns, which are heavily restricted in the United States. Timothy Lytton, a law professor at Georgia State University and author of a book on gun litigation, said the lawsuit faced very long odds due to a law passed by Congress in 2005 that shields manufacturers of firearms, component parts or ammunition from liability if their products are used to commit a crime. "The only way the plaintiffs can survive is if the court accepts the idea that a bump stock accessory is not covered under the US Congress' components parts definition," Lytton said, adding that the lawsuit did not present novel legal arguments. The lawsuit was filed with support from the Brady Center to Prevent Gun Violence, a US nonprofit organisation that advocates gun control. In a rare embrace of a new gun control measure, the National Rifle Association last week said it was open to regulating bump stock devices. 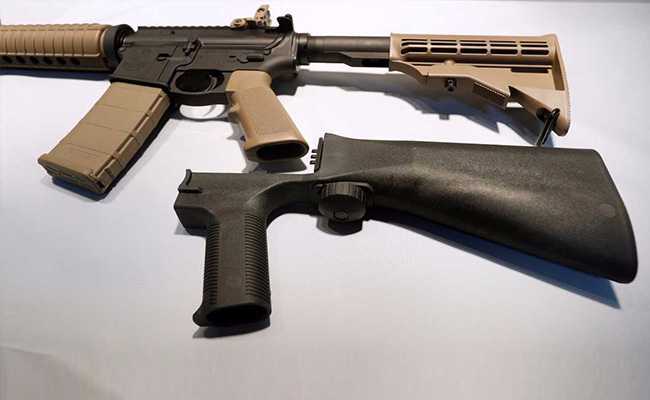 The lawsuit said Paddock used a bump stock manufactured by Slide Fire and alleged the company did nothing to prevent the devices from being sold to people they were not intended for. The complaint accused Slide Fire of misleadingly marketing its bump stocks as intended to aid people with limited hand mobility, allowing them to sell the product under federal law. The lawsuit said the company acted with fraud, oppression and malice towards plaintiffs and showed an intention and willingness to injure people. The Nevada plaintiffs are seeking unspecified punitive damages. They also asked the court to approve a supervised programme of psychological monitoring for everyone affected by the shooting at the expense of Slide Fire.